In the late 1960s, Eddie Joseph was a high school honor student, slated to graduate early and begin college. That path took a detour. A long one. Impassioned to resolve the social, economic, and political wrongs he saw in his Bronx community and the nation, 15-year-old Eddie was drawn to the ideology of the Black Panther Party, which was just gaining a national presence. He remembers riding the subway to the Panther office in Harlem with two friends to offer his services, enraged by the recent assassination of Dr. Martin Luther King Jr. He was ready to fight, even kill if necessary, to serve the cause. At the Panther office, a leader called the earnest teen up front. As Joseph stood by his side, the leader pulled open a desk drawer and reached far into it. Joseph’s heart pounded. He was prepared to be handed a gun—the power for social change. By 16, Eddie—now called Jamal—learned that the militant group the FBI declared to be “the greatest threat to America” was a multifaceted entity. The Party’s 10-point program called for fair housing, education, justice, and peace. They put those ideals into action with free breakfasts for school children. Free medical clinics for those who could otherwise not afford health care. Neighborhood patrols to protect citizens threatened by street violence and police brutality. The guns were just there to establish authority and prevent law enforcement obstruction to the primary mission: liberation. The Panthers Joseph saw organizing free services in their communities stood in striking contrast to the menacing, gun-toting criminals he saw on television. He saw that true empowerment is not the product of violence but of empathy. If violence did not top the Black Panther Party’s tenets, it was undeniably part of the implementation. By 16, Joseph’s devotion to the cause landed him in prison on infamous Rikers Island, charged with a bombing conspiracy as part of the Panther 21 in one of the most emblematic criminal cases of the 60s. When exonerated, he became the youngest spokesperson and leader in the Panthers’ New York chapter. In one of his more renowned oratories, he urged Vietnam war protestors to burn down the Columbia University campus. He later landed back in prison, sentenced to 12 years in Leavenworth for harboring a fugitive in an armed robbery. Despite the dangers and despair of life in a federal penitentiary, Joseph credits this time for resetting his life’s compass. While in prison, Joseph earned college degrees with honors in psychology and sociology, wrote poetry and his first play, and founded a groundbreaking theater company that brought together prisoners formerly divided by race, culture, and violence. Joseph didn’t start out with the idea to develop a theater company. Some inmates—most notably Mr. Cody—challenged him to do a play for Black History Month. “I couldn’t find anything in the library, so I wrote a play and had black brothers rehearsing,” Joseph recalls. Parole by Death was based on the true story of a young prisoner stabbed to death two weeks before his parole date. “These were groups that stood in different areas of the yard in the voluntary segregation that happens in prison. You stay in your own section of the yard. I thought, this is amazing.” This cultural bridge epitomized the Black Panther Party’s slogan of “power to all the people” across racial lines. There were just 12 to 15 men in the play, but more than 2,000 in the audience giving them a standing ovation, a profoundly unifying moment. Released from prison on Christmas Eve 1987, Joseph returned to a Harlem that looked like the aftermath of a World War II bombing raid—block after block of devastation and decay, punctuated by nightly gunfire at the height of the crack epidemic. He had a family to consider: his wife, Joyce Walker, an actress and model who was the first African-American woman on the cover of Seventeenmagazine, and his young son, Jamal Jr. It would have been so easy to leave. Go somewhere safe. Instead he stayed and tapped the social activism that had drawn him to the Panthers decades earlier. He immersed himself in projects and making ends meet. On his résumé he listed his Black Panther affiliation and time in prison under “Other Experience.” His candor and street cred earned him a role at the Harlem campus of Touro College, where he worked seven years as a counselor, professor, and director of student activities. From there, he accepted an invitation to teach a semester of screenwriting at Columbia University, which led to another, then a steady climb up the academic ranks to full professor and a five-year term as chair of the film school. As the first African-American head of any department in the school of the arts, Joseph worked to increase diversity of thought and perspective, both in the faculty and student body. In the midst of his ascent at Columbia, Joseph’s life took another turn. A 16-year-old neighbor was killed at a party. The boy had confronted a young gunslinger who had disrespected his sister. The youth shot him. “When Andre’s mother received the news, her apartment was too small to contain her grief,” Joseph recalls. “She ran out into the street and wailed.” Joseph was still mourning the death of his godson, Afeni Shakur’s son, Tupac, who had been killed in Las Vegas a year earlier. 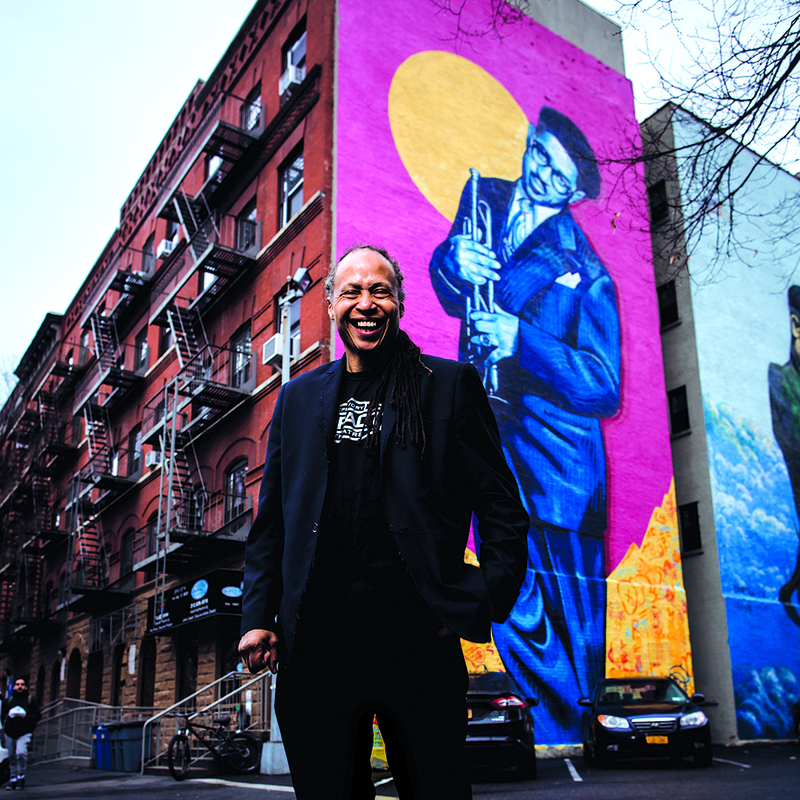 Joseph approached Voza Rivers, executive producer of Harlem’s New Heritage Theatre, with a vision to bring arts to Harlem youth, to create a refuge from the streets and help kids make sense of their world. The IMPACT Repertory Theatre began in a community center basement with nine students—including Joseph’s three children. Within a year, 75 kids had joined. Since then, more than 2,000 young people have been part of IMPACT in New York. Of those who stayed with IMPACT through high school, 75 percent have gone on to college. Thousands more have participated in IMPACT-led workshops in New York, Philadelphia, and Atlanta. The repertory company performs in front of more than 25,000 people a year at venues ranging from the United Nations headquarters to New York City Hall, hospitals, public schools, and, yes, penitentiaries. More than a performing arts troupe, IMPACT is based on a mission statement of SOS—safe space, outstanding effort, and service to family, friends, and community. Prospective members go through an intensive 12-week boot camp where they learn the fundamentals of leadership, service, and public speaking—and forge indelible connections. Alumni from the program come back to share their stories. Now in their 20s and 30s, they are educators and social workers, professionals in medicine, law, and arts management. Many have graduate degrees. Two are PhD candidates. Count Joseph’s own children in that number. Eldest son Jamal, 36, has a Master of Fine Arts in film from Columbia. Middle son Jad, 30, a Brown University graduate and activist, is passionate about restorative justice and campaigns for progressive candidates. Daughter Jindai, 27, a Columbia University grad, is director of operations and creative producer at a Harlem-based advertising and marketing firm as well as a talented musician. All three were IMPACT kids. In addition to creating IMPACT and inspiring a generation of Columbia students to tell their stories in film, Joseph is a wellspring of creativity. He published Tupac Shakur Legacy, a biography of his godson, and the autobiographical Panther Baby. He was nominated for the Academy Award for Best Song in 2008 for a song he co-wrote for the film August Rush. He is co-founder and faculty advisor of FOCUS—Filmmakers of Color United in Spirit—which promotes diversity and inclusion in community work, mentoring, and storytelling through film. He is working on Peace Warriors, a musical about anti-bullying and anti-violence that has original monologues, poetry, music, and dance by IMPACT members. A documentary on a Harlem-based civil rights lawyer is in the works. So is a television series based on Panther Baby. Even with his career and community successes, Joseph can hardly believe he has been at Columbia University for 20 years. He came in thinking he was going to teach one course for one semester. He was stunned to be asked back for a second semester.